A lonely demon in a remote corner of Hell oversees a divine but rigged typing contest. A sentient house in San Francisco decides to become vacant once again… by any means necessary. A supernatural first date in Hong Kong goes hysterically, horribly awry. How did this become my life? And… now what? These questions recur throughout The Infernal Republic as a cast of characters you’d either love or run from confront the unlikely and surmount the impossible. 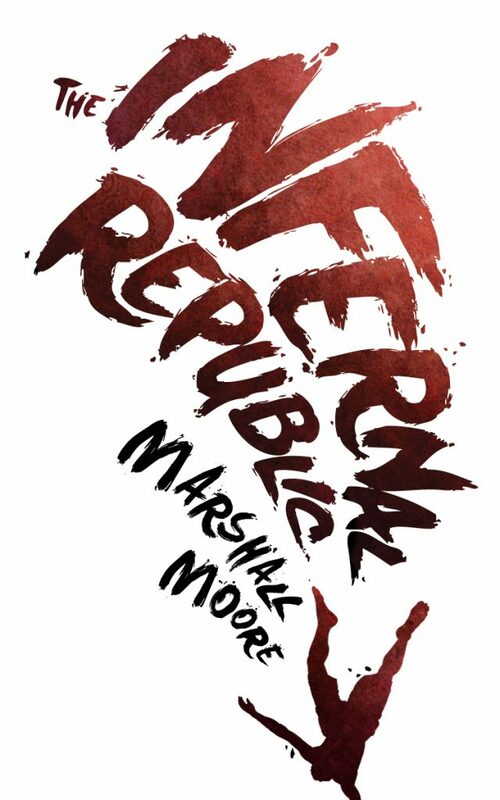 The Infernal Republic is the new collection of short fiction from Marshall Moore, the author of The Concrete Sky, Black Shapes in a Darkened Room, and An Ideal for Living. Comprising stories published between 2003 and 2009, as well as several unique to this book, The Infernal Republic is Moore at his best: surreal, hilarious, wise, brutal, and sometimes just plain wrong. 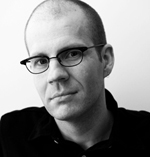 Marshall Moore is a smart and gifted writer. The Infernal Republic comes to you like a gift-wrapped box of chocolates, each with a little surprise inside. Careful—that ‘surprise’ might be a bomb! And I mean that in a good way. Marshall Moore’s stories never cease to surprise. He tweaks the boundaries of the ordinary world and transports you to another dimension where houses ‘wake up’ and secretly speak, or Damien Hirst’s eerily suspended tiger shark telepathically communicates with a human. The prose is good and solid and straightforward and fitting the stories, but what impressed me most was the risk taken in narrative voice and the unusual and daring plots. Playful, sinister, inventive—delightfully transgressive!